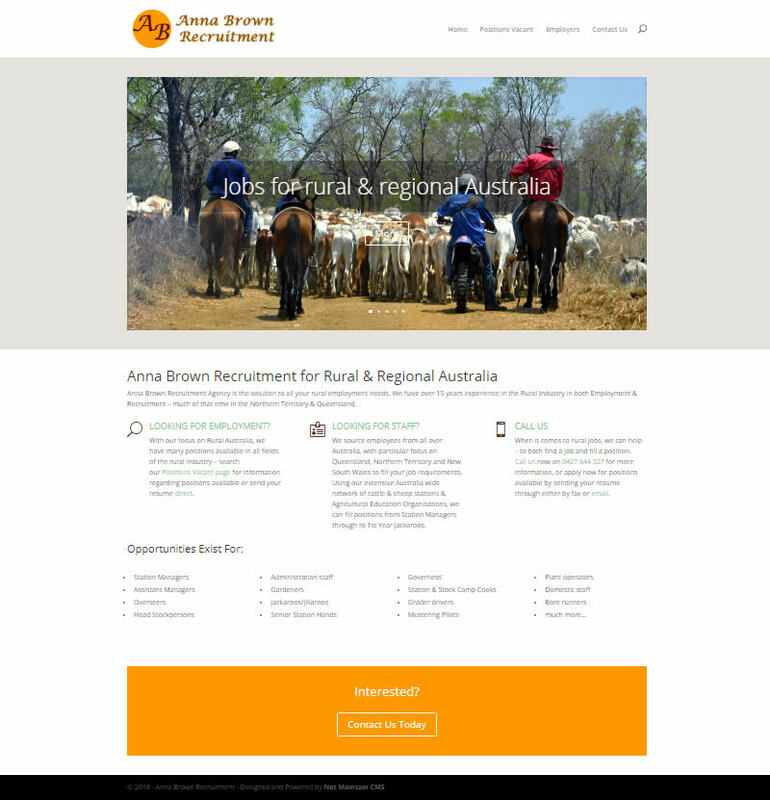 This clients previous recruitment website while still functioning well was quite old and not mobile friendly. We developed a new website that includes the ability for the owner to add and update job vacancies as well as take enquiries from potential applicants while still being easy to use. The site provides services for employers as well as job seekers. You can visit www.annabrown.com.au for more information. Rebuild old website so that it was mobile friendly yet contained the same easy to use management and editing features previously available. Ability to list job vacancies and take enquiries from prospective applicants.